Hey everyone, today I’ve put together a guide of the most accurate watches available with quartz movements. To be fair most quartz watches are accurate enough for your normal day to day use. You’ll find that a basic Casio or even an Omega can both run around +/- 15 seconds per month. This isn’t really a problem for people normally, but for a keen watch enthusiast, that just won’t do. If you’re striving for the highest levels of watch accuracy available you’ll want to go for a high accuracy quartz (HAQ) watch. To class as a high accuracy quartz watch these timepieces generally have an accuracy of plus or minus 10 seconds per year, notice how earlier on when we were talking about accuracy it was in terms of months for basic quartz watches, that’s how much better these high accuracy versions are. To achieve this level of accurate time keeping these watches make use of thermo-compensation technology that allows them to keep a stable rate in spite of temperature fluctuations which would affect the accuracy of a normal quartz watch. A normal quartz watch works by passing a current through a tuning fork shaped crystal, the vibrations generated from this power the watch, well that’s the basics of it anyway. Thermo-compensation regulated the motor pulses in accordance to the ambient temperature fluctuations, this allows for much greater accuracy to be achieved. As I’ve mentioned before, a high accuracy quartz watch isn’t actually that useful to many people. That’s why it’s much more suited for people who have a love for highly accurate timepieces and are seeking the best quartz watches available. Why Quartz Instead Of Mechanical Watches? Mechanical watches are often the go to area for someone seeking a high end luxury timepiece, so why would anyone go for a quartz watch? While it’s true mechanical watches are the more sought after of the two in general, quartz are perfect for those seeking astounding levels of accuracy. Most people here are probably OK with their mechanical watch being off by a variance of 10 seconds a day. You might even be perfectly fine with a few minutes per day. Mechanical watches are still picked due to people’s love for the art of mechanical movements. So if it’s the romance for the art of watches making that you’re after, you can still find this in these impressive quartz timepieces. For today’s guide, I’ve decided to exclude any watches that are radio controlled and use tower signals to constantly update their timer to keep them accurate. I’m also excluding Citizen’s Eco-Drive range as it doesn’t use a traditional lithium battery powered movement which is what I’m aiming to focus on for this guide to accurate watches. Also, due to the fact that I try to remain a relatively affordable watch related blog, I’m going to be keeping an upper bracket on the prices, realistically some of these still cost more than I’d normally feature, but I’m not going to let it get too out of hand. The guide is generally intended to give people with an interest in high accuracy quartz time keeping an idea of what’s out there. Enjoy this list of the 5 best quartz movement watches for men. To start things off we’re going to be taking a look at a selection of popular Japanese HAQ watches from the brand Seiko. Seiko was actually the first brand to create production quartz watches back in 1969. For the 9F series quartz movements that are featured in the following Seiko watches the brand actually grow their own crystals (talk about keeping a keen eye on the quality of parts in your production line). 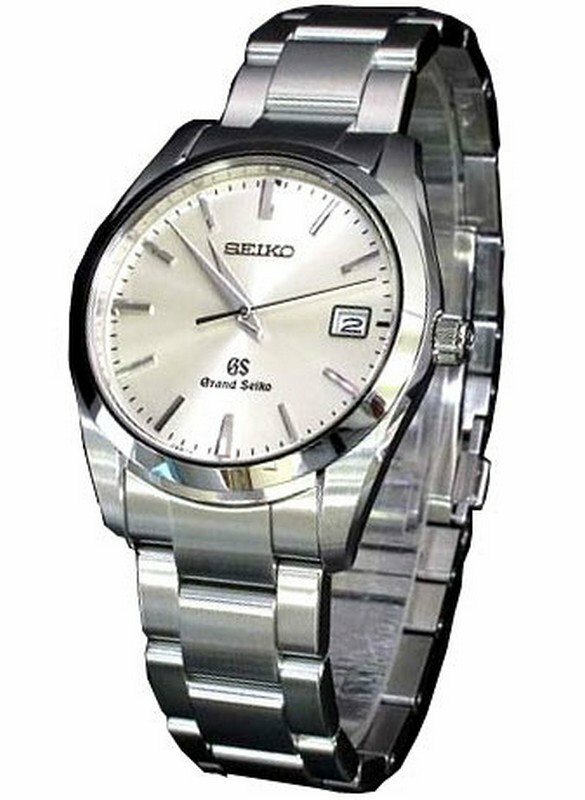 The Grand Seiko 9F makes use of a thermo-compensating movement that measures the ambient temperature 540 times a day and then makes adjustments to the frequency of the quartz’s vibrations to compensate for this information. A twin pulse control motor is used on the 9F series to allow for larger hands to be powered without it compromising the battery life of the timepiece. This Seiko movement is hermetically sealed to prevent debris contaminating the quartz mechanism during battery changes, Seiko claims the watch can last up to 50 years without the need for a service to the moving parts. Another popular feature of the 9f quartz movement is the anti-backlash mechanism, this is used to eliminate the wobble that you can get when the second hand stops. To help the second hand hit the dial markers precisely an auto-adjust mechanism is also featured. 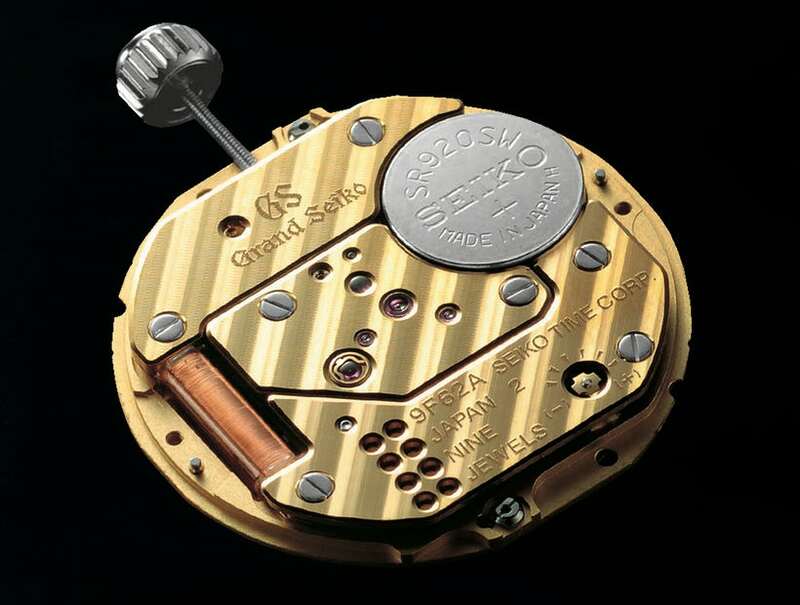 The Grand Seiko 9F quartz movement has an accuracy of +/- 10 seconds per year. 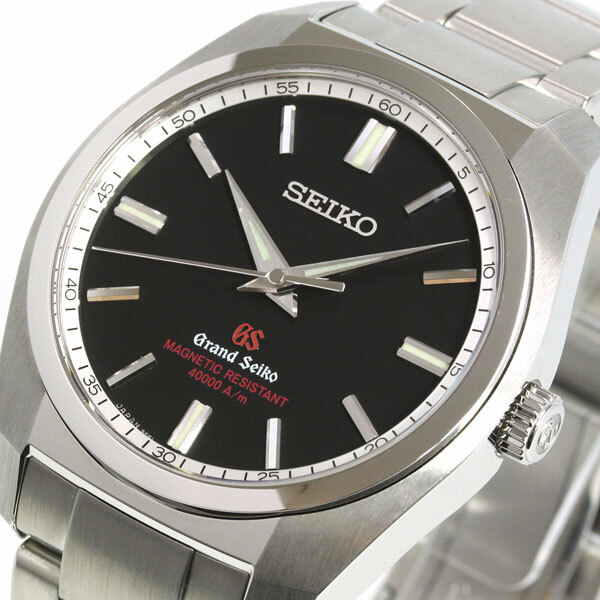 You can learn all about the Grand Seiko 9F High accuracy quartz movement here. Pictured above is a Grand Seiko SBGX063, one of my favourite models in this collection. It has a stainless steel casing with a 37mm diameter which is common for more classic style timepieces, the thickness of this casing is 10mm. I really like the use of the champagne coloured dial and the Dauphine hands that make this watch ideal for casual or smart wear. There are other dial variations available in black, white, and blue as well. Above is the Grand Seiko SBGX093 which is effectively an anti-magnetic sports version, consider it a Milgauss for someone who prefers Japanese watches. A key feature to this timepiece, other than the incredible accuracy is the 40,000 A/m magnetism rating. The casing on this model is made of stainless steel and has a diameter of 38.8mm. You’ll find that Grand Seiko models tend to be a little thinner than the automatic versions, this is something that’s achievable when you use quartz instead of mechanical movements. Up next we have what many consider to be the king of high accuracy watches. The Citizen CTQ57-0953 is unofficially said to be the most accurate watch ever produced. Inside the Citizen Chronomaster (often referred to as “The Citizen”) is an A660 movement, the most accurate movement in the world at the moment apparently. The A660 movement at the heart of this watch claims to be accurate to +/- 5 seconds per year. That beats the Grand Seiko’s accuracy rating of +/- 10 seconds per year. 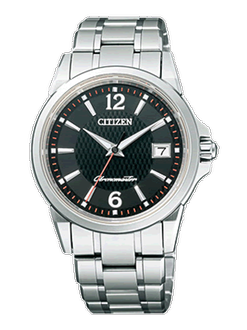 The variations of this extremely accurate Citizen Chronomaster come with a variety of dial finishes and hands. The basic version is quite understated and perfect as a men’s dress watch. Above is the Citizen Chronomaster CTQ57-1022 which happens to be my personal favourite variation available. It features a pretty impressive looking dial that I really like the look of. 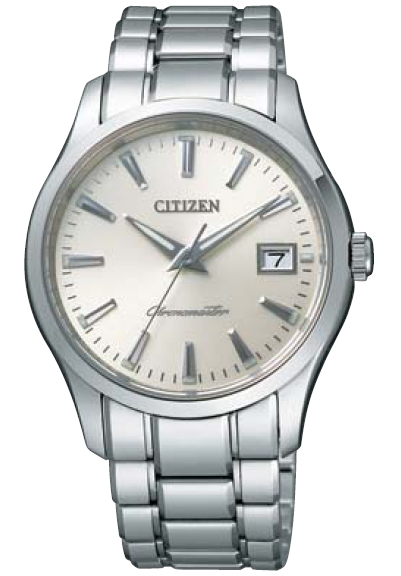 The casing on this accurate Citizen watch is made of a hardened Duratect titanium, same with the strap. A sapphire crystal protects the front of the timepiece from scratching and has a doubled sided anti-reflective coating which is good to have for glare prevention. The perpetual calendar is set up until 2100, meaning you won’t need to adjust the date for the varying amount of days in each month. You pretty much don’t need to adjust this timepiece for the duration of your ownership really, handy right? It also features a 100m water resistance rating and a push-down crown which is good to have even if you don’t plan on taking advantage of it. The Citizen A660 high accuracy movement is perfect for watch geeks and will definitely get a nod from watch snobs. If you’re looking the ultimate timepiece in terms of accuracy and functionality and you’re not too fussed about showing off, then going for this Citizen high accuracy quartz watch could be perfect for you. The most accurate quartz watch in the world. Next up for accurate watches is Bulova, one of my favourite brands for affordable timepieces. Their highly accurate quartz watches set the standard for affordable accuracy with their real sweeping seconds hands that beat at 8 ticks per seconds. Many of Bulova’s higher end watches like the Precisionist line now come with this 262 kHz movement. For this article, I’m showcasing the Bulova 96B251, commonly known as the Bulova Moon Watch. Bulova’s HAQ watch lines use a 262 kHz UHF (Ultra High Frequency) quartz movement. This is what gives the timepiece that super smooth seconds hand with its 8 beats per second. The movement uses a three-prong quartz crystal and increases the vibration frequency up to 262 kHz which is eight times greater than your standard quartz watch, this is what gives it that incredible accuracy for what is considered an affordable accurate watch. Why did I pick the special edition Moon Watch to show you? It’s fair to say that there are many contenders among Bulova’s HAQ watches to display to you, to put it simply though, this is one of my favourites. 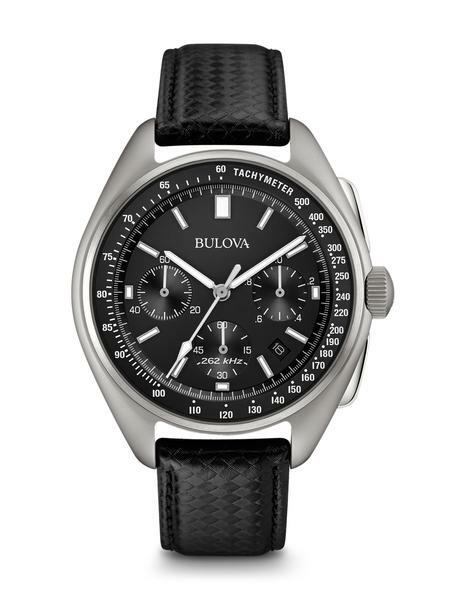 It was inspired by the Bulova chronograph timepiece that was worn during the Apollo 15 moon landing in 1971. This updated version comes with Bulova’s latest 262 kHz accurate movement and features sapphire glass, luminescent hands, and a water resistance rating of 50m. 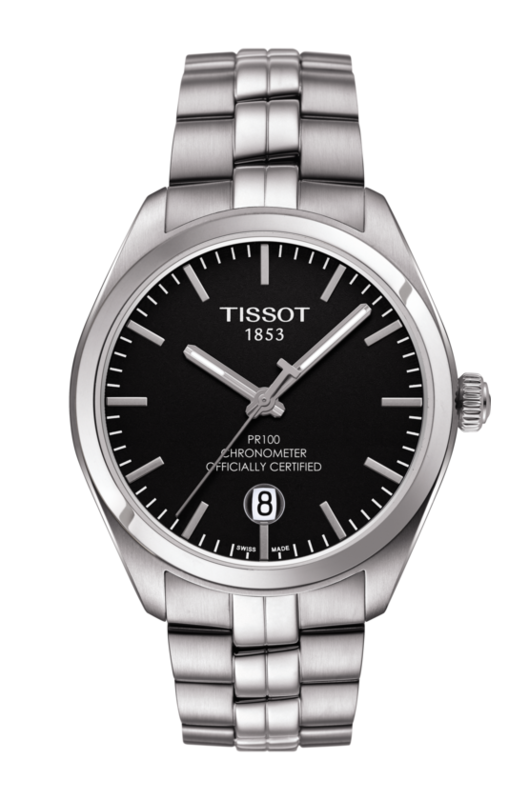 Below we have the Tissot PR 100 COSC quartz watch that comes in three variations so whether you’re a leather strap or stainless steel person, there should be one to suit you. I’ve included a picture of the stainless steel model just below. The Tissot PR 100 is another one of the more affordable HAQ watches on today’s list an achieves its status by making use of an ETA Precidrive movement F06.411. This Swiss made accurate timepiece is COSC certified and also features a water resistance rating of 100m. It’s built with a stainless steel casing that has a diameter of 39mm with a thickness of 9mm making it quite a slim watch. Powering this Tissot watch is 3 jewel COSC ETA Precidrive quartz movement for a very high level of accuracy. A sapphire crystal glass gives you an excellent level of scratch protection too which is always handy to have in my opinion. This watch is officially certified by the Contrôle Officiel Suisse des Chronomètres for its precision and sophisticated timekeeping. I’ve included this little promotional video I found by Tissot to give you a better idea of how this HAQ Chronometer watch looks. 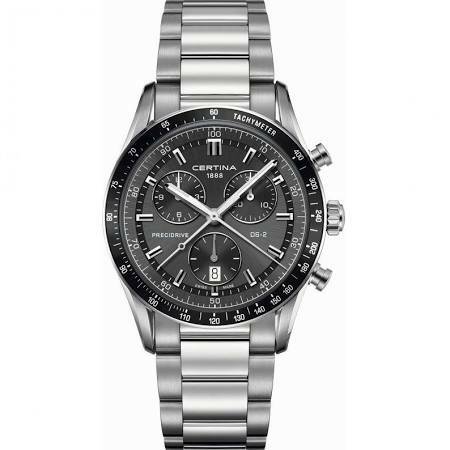 To finish of today’s list of the best quartz watches is this popular Certina DS-2 chronograph watch. Certina has a huge selection of watches available that make use of Precidrive quartz movements. A Precidrive quartz movement achieves real chronometer accuracy and precision with a deviation of +/- 10 seconds per year making it up to 10 times more accurate than a traditional quartz watch. Certina’s DS Concept watches cemented the brand’s international reputation as a sports brand since 1959. The double security (DS) system makes the watches extremely robust with the use of a complicated system of seals to protect the stem and crown, as well as a reinforced case back and a highly scratch resistant sapphire crystal glass. They use an integrated circuit to measure the temperature of the quartz crystal and alter the frequency to keep the watch extremely accurate to COSC standards. This accurate quartz watch from Certina is one of my favourite DS-2 watches available from the brand. It has a large 41mm stainless steel casing with a thickness of 13mm making it more of a chunky timepiece than the more classic style dress watches featured earlier. A subject about the most accurate watches in the world is always bound to create discussion. I’m sure many of you out there will know of some great HAQ watches that are worth mentioning, you’d really be helping out the community by commenting below and letting everyone know about your favourites. As always I’d like to thank everyone for taking the time to read through today’s article. What was your favourite model? I’m more a fan of affordable watches myself so the Bulova Moon watch is up there for me, that being said, there’s no denying the achievement of the Citizen high accuracy watch.